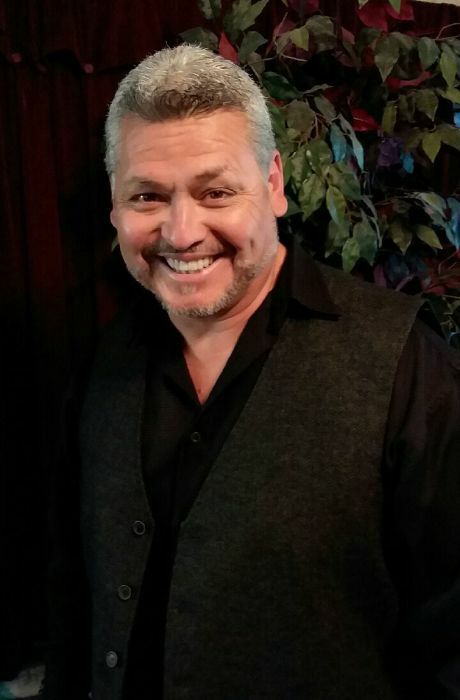 Jesus "Jessie" Montelongo Jr., age 52 passed away unexpectedly at his home on January 21, 2019. Jessie was born in San Benito, TX on January 16, 1967 to Jesus and Juanita Montelongo. At a young age Jessie and his family migrated to Washington and made their home in Toppenish. Jessie received his education in Toppenish. In 1981 Jessie met the love of his life Gracie, “his babydoll”. Jessie and Gracie were married October 10, 1985. Together they raised four beautiful children. Spending many years in Sunnyside they eventually made Grandview their home. Jessie worked for the Grandview School district as the School security officer for the last 15 and ½ years. Jessie is survived by his wife Gracie (Vela) Montelongo, his children Stephanie (Abraham AJ Valencia) Montelongo, Monique Montelongo, Amanda Montelongo, Alliyuh Montelongo, and Jessie III (Kristal Cervantes) Montelongo. Sixteen grandchildren and numerous nieces, nephews and extended family. Parents Jesus and Juanita Montelongo Sr. , siblings Sandra Montelongo, Cindy (Dan) Saenz, Liza Montelongo, Darlene (Oscar) Iniguez and Frank (Cyndi) Medina. Jessie was known for his infectious smile. He will be dearly missed. Viewing and visitation will be held on Sunday, January 27, 2019 from 2:00 p.m. to 8:00 p.m. with the Recitation of the Holy Rosary at 6:00 P.M. at the Smith Funeral Home, Sunnyside, WA. Mass of Christian Burial will be held on Monday, January 28, 2019 at 10:00 A.M. at the Blessed Sacrament Catholic Church, Grandview, WA. Burial will be held at the Grandview Cemetery. Those wishing to sign Jessie's online memorial book may do so at www.funeralhomesmith.com Smith Funeral Home in care of arrangements.